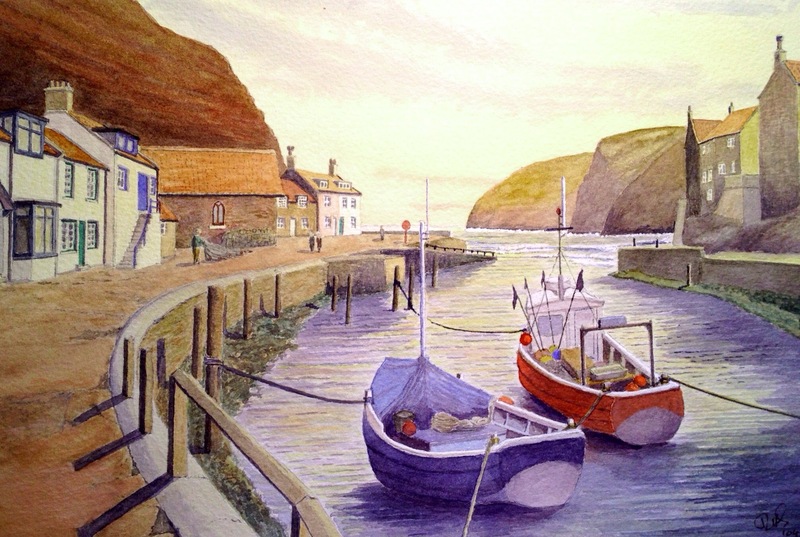 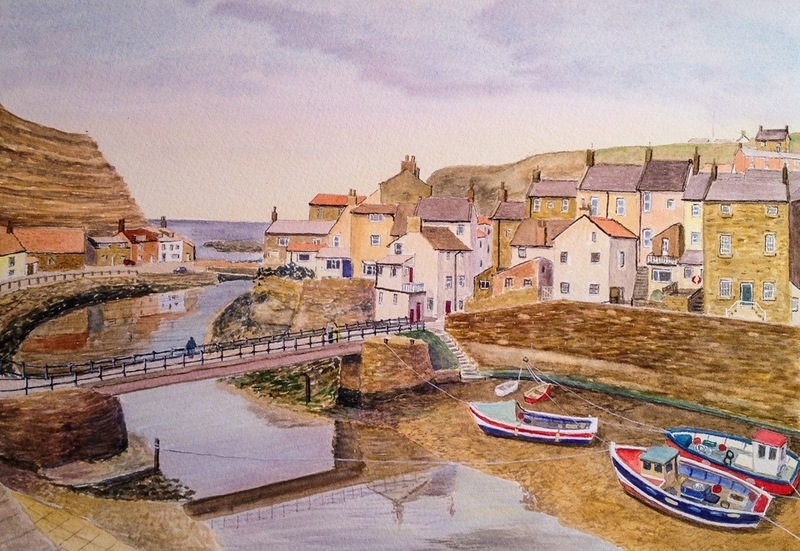 My watercolour of Roxby Beck, a mooring for fishing boats, at Staithes, North Yorkshire. 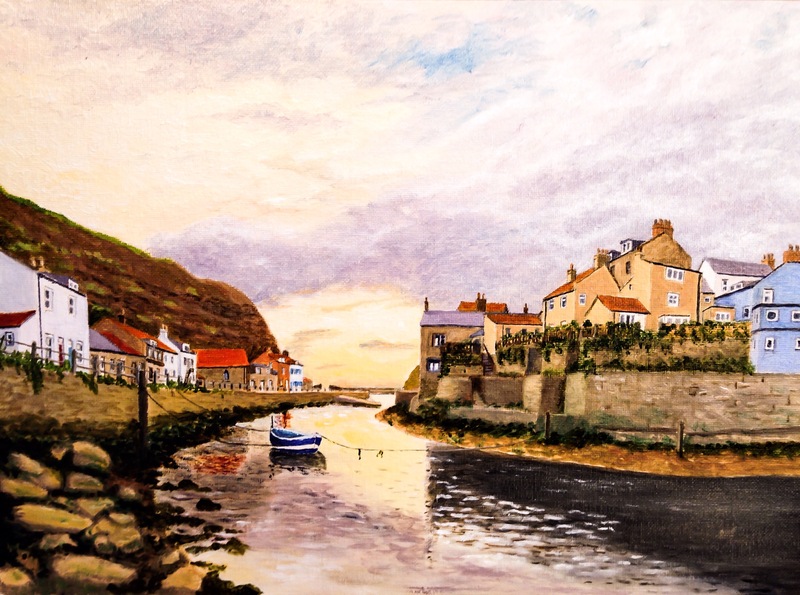 I’ve painted several pictures of this very scenic fishing village on the North Yorkshire Coast. 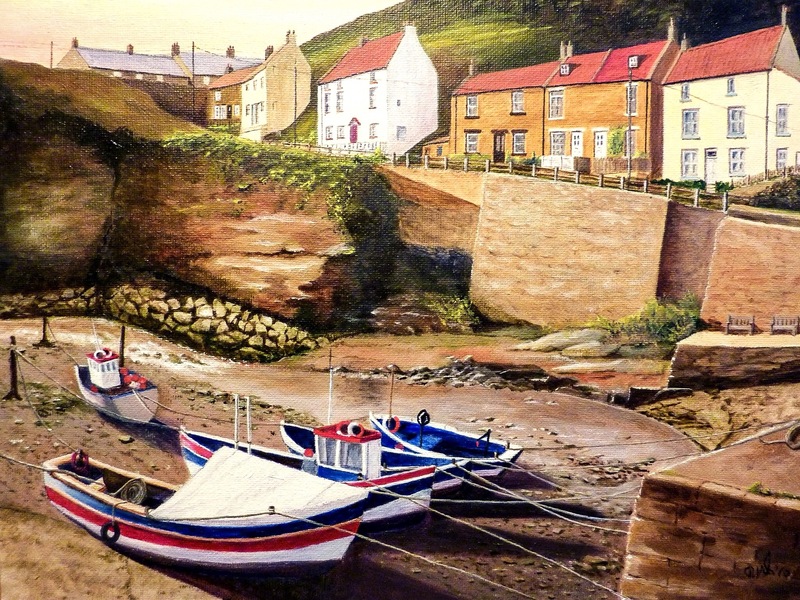 Staithes has been a favourite with countless other artists, over the years but it is a bit special. 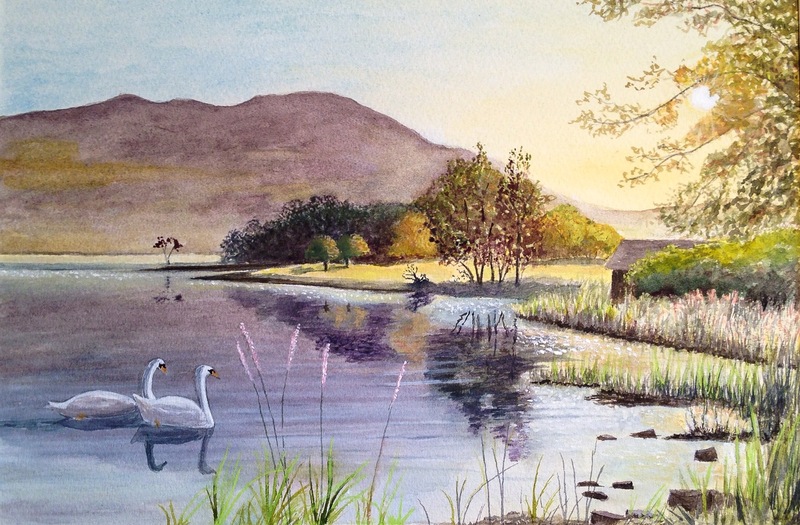 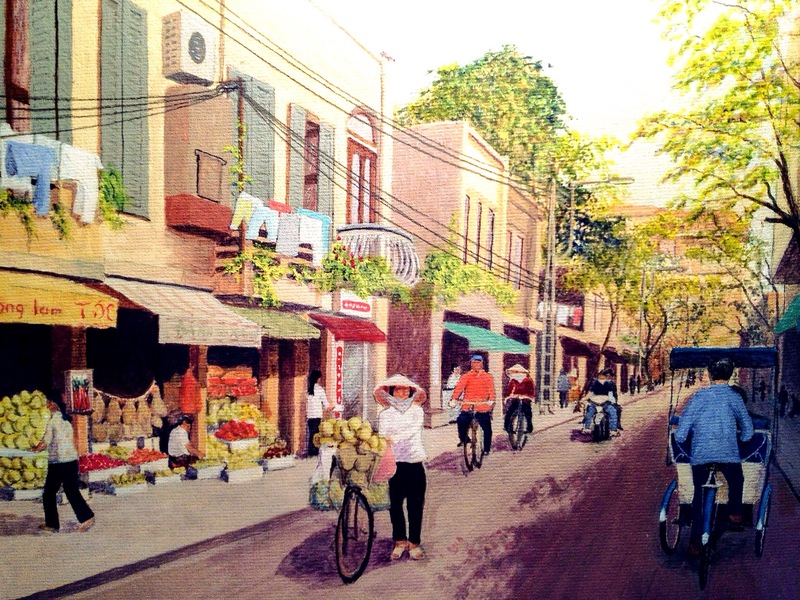 Anyway, this is my latest effort in watercolour. 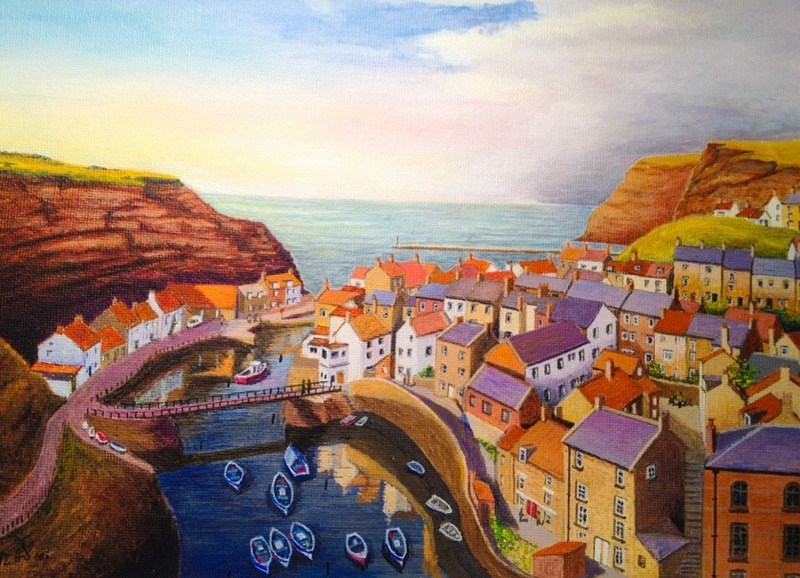 In acrylic, a portrayal of Staithes on the North Yorkshire Coast as a toy town model of that village, with bright coloured cubist houses.